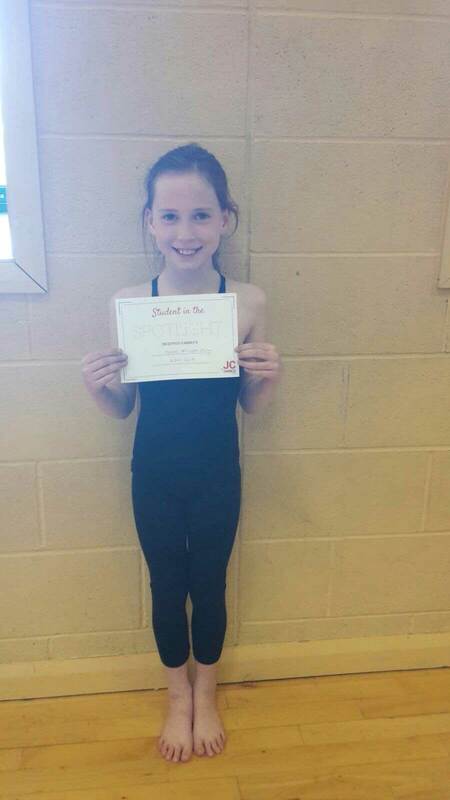 Isobel has been dancing at JC Dance since 2013 and attends Ballet and Modern classes, she is currently working hard towards her ISTD Grade 2 Modern exam which is in a few weeks. Isobel was nominated for Student in the Spotlight by her teacher, Sarah. Sarah says Isobel is dedicated, works hard, takes on board feedback and is always smiling! Here she is with her certificate, and she also received a winners t shirt… Well done Isobel!